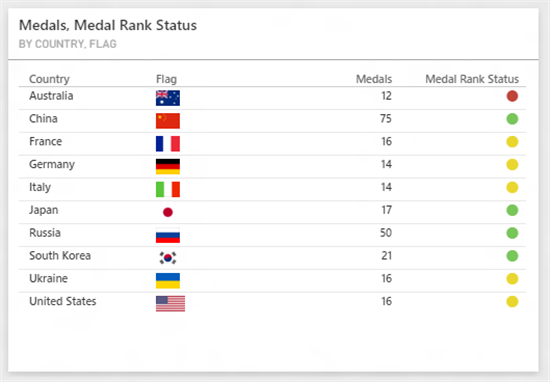 This week has us releasing new features in all areas of Power BI. We created a better documentation site that lets you find answers to your questions in a language comfortable to you, we improved the experience when you view reports and publish content packs to your organization, and we made it easier than ever to know the health of the Power BI service. And as an added bonus, we are including at the end of this blog a couple of features for tables that you may not know about. Our documentation website is a great source of knowledge, but we wanted to make it even easier for you to access the content when you need it. To do this, we made two major changes to our documentation. 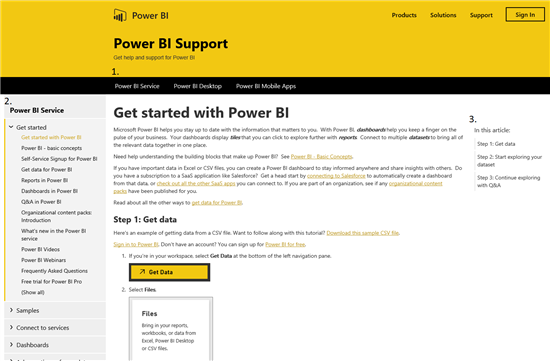 The first is a complete redesign of the page, now located at powerbi.microsoft.com/documentation. The second major update is that our documentation is now being localized. We have localized the top 75 most read articles to Chinese-Traditional, French, German, Korean, Japanese, Italian, Portuguese-Brazil, Russian and Spanish, and we will be localizing the remaining articles by Nov 20. We have improved the loading performance for reports in the Power BI service. Now, after the first time you open a report, you will have a much faster load time. We want to make it as easy as possible for content creators to publish their updates to their users, no matter how small. As part of today’s update, we are adding the ability to publish changes to the organizational content packs you created when you make updates to the report only. Previously, you had to change at least one thing about the dashboard to make updates. To make changes to your organizational content pack, make the desired changes to the report and save. You will be notified that you have made a change that affects a published content pack. When you view your content packs, you will see a warning informing you that updates need to be published, and when you click the Edit link, you will be able to push the changes to the content pack. As an IT admin, it is incredibility important to know the health status of the tools used by your company. You are now able to see the health of the Power BI service in the O365 Admin Portal alongside all your O365 services. Sign in to Office 365 with your work account. You can also see the health status in the Service health section. The service health page lets you see whether there has been a service interruption or outage. It also shows status information for today, the past six days, and 30 days of history, and shows when planned maintenance is scheduled for your services. To see additional components or features of a service, select the down arrow next to that service. To see status history, select View history for past 30 days. Select the RSS link to sign up for the service health RSS feed, which will send you mail when a new event is added or an existing event is updated. We want to end today’s blog with two features of tables that many of you may not know: they can display KPIs and show images from URLs. To use KPIs, you will first need to create the KPIs in Power Pivot in Excel. Once that’s done, you should see a little KPI icon next to the calculation. The next step is to either create a report that uses the KPI in Power View in Excel or the Power BI Desktop. 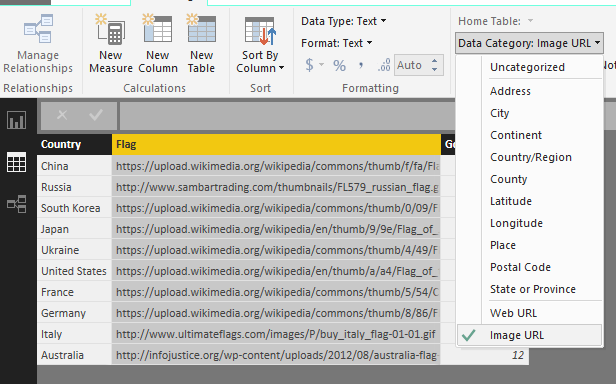 To use Power View, you Insert a Power View sheet, and create a table by dragging the fields onto the canvas. If you prefer to use the Power BI Desktop, you can learn more in the latest Power BI Desktop update blog post. 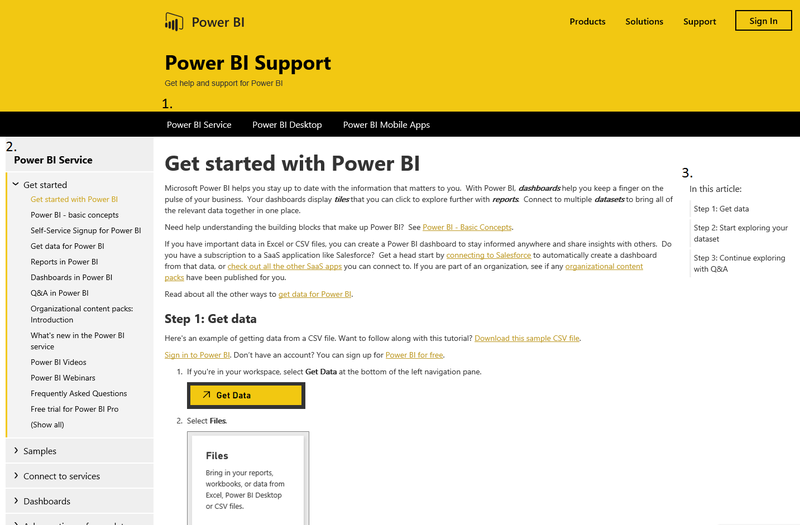 Note that you will need to start by creating the report with KPIs in the Power BI Desktop or Excel. 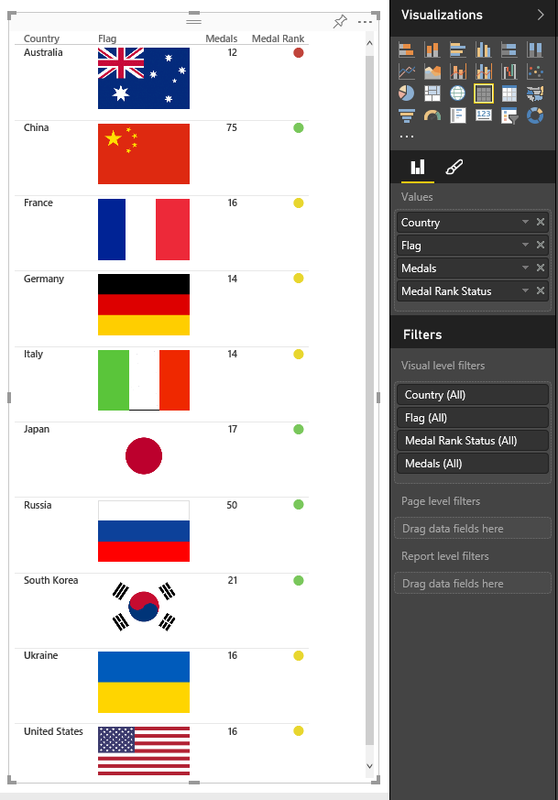 The KPIs will show correctly in the Power BI service, but cannot be used to create new visuals just yet. 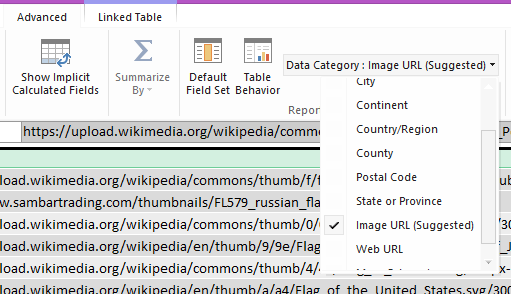 Images can be displayed in tables by giving us a pointer to the image through a URL. In a column in Power Pivot or Power BI Desktop, list out all the image URLs. If you are using Power Pivot, select the column and under the Advanced tab, set the Data Category to Image URL. If you are using Power BI Desktop, this setting is in the Modeling tab on the Data view. Once published you will be able to see both features in action by seeing them in a table, matrix, or card. The KPIs and images can also be pinned to the dashboard!